The NSW Court of Appeal has found in favour of Pel-Air Aviation against a PTSD compensation claim by a former CareFlight NSW nurse who was injured in a plane crash near Norfolk Island. This important decision highlights that in aviation cases, mental disorders like PTSD are not considered to be ‘bodily injuries’, as is required for claiming personal injury compensation under international law. Ms Casey, a former CareFlight NSW nurse, was one of six people on board a plane that crashed at sea near Norfolk Island. The plane was returning from Samoa having medically evacuated an injured patient and was heading for Melbourne. It was scheduled to refuel on Norfolk Island, but the weather was too bad to attempt a landing, so the pilot chose to attempt an emergency landing on the sea. Everyone on board survived the ordeal, but they had to survive for 90 minutes in the water before being rescued. Ms Casey suffered spinal injuries and an injury to her right knee from the crash. As a result of her ordeal, she also suffered from post-traumatic stress disorder (PTSD) and a complex pain syndrome. Ms Casey brought a claim for personal injury damages against Pel-Air for the injuries she suffered and for PTSD, both of which were extremely debilitating – she could no longer work and her quality of life was diminished. Pel-Air accepted liability for her physical injuries. At first instance, the Supreme Court found in favour of Ms Casey and she was awarded the amount of $4.8m in damages for her physical injuries and for her mental disorder, PTSD. Pel-Air argued that Schmidt J had made an error in her decision because she didn’t correctly apply findings in similar cases in Australia and other countries. The Court of Appeal found in favour of Pel-Air’s appeal. It found that while expert evidence justified a conclusion that Ms Casey’s brain was malfunctioning due to biochemical changes, there was no evidence that her brain was physically damaged. This led to the Court’s finding that Ms Casey’s PTSD could not be characterised as a ‘bodily injury’ as it is considered in the Montreal Convention. Ms Casey’s compensation no longer included the allocated payment for her PTSD. This case has received quite a bit of media attention and the details of the crash were featured on the ABC’s Four Corners program in 2012. The decision shows that personal injury compensation arising from international plane crashes is limited to physical injuries only – to the exclusion of mental disorders, like PTSD, that may arise from the trauma of having survived a plane crash. The case also shows the complexities involved in making a personal injury claim for mental disorder. 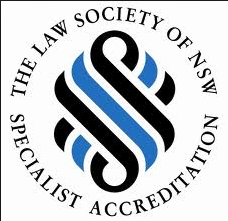 It’s important to contact lawyers experienced in personal injury compensation – our expert team at NSW Compensation Lawyers can help advise you on any personal injury claim. Click here to contact us. For the full decision see: Pel-Air Aviation Pty Ltd v Casey  NSWCA 32 at caselaw.nsw.gov.au.